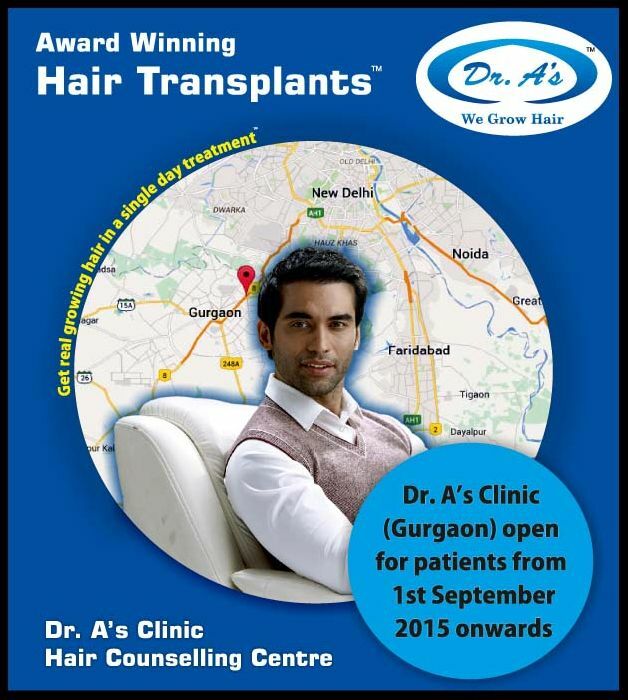 Dr. A’s Clinic (Gurgaon) open for patients from 1st Sep 2015 onwards. We are pleased to announce the opening of our centre at Gurgaon. Here you can meet and get counselling from actual past patients who have undergone hair transplants.